Philadelphia pop singer whose career began with small parts in films such as “Guns Of The Timberland”, “The Alamo”, “Voyage To The Bottom Of The Sea” & “Drums Of Africa” before hitting box office gold with the popular “Beach Party” film series that co-starred Disney’s Annette Funicello. (57), “Lonelyhearts” (58) & “The Plunderers” (1960), Dolores got her signature starring role in the smash hit sand & surf flick “Where The Boys Are” (1960). Former school jock & milkman who after only a few small film appearances won the starring role of slick Private Investigator Thomas Jefferson Lopaka in the hugely popular TV series “Hawaiian Eye”. 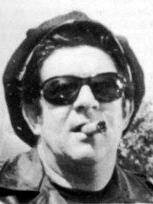 Bob later went on to star in TV’s “The Wild Wild West” & “Palm Springs Weekend”. This US muscleman (known in his early career as Rock Stevens) made his film debut as bodybuilder Flex Martian in the Frankie Avalon surf flick “Muscle Beach Party” before going to Italy to star in peplums such as “Challenge Of The Gladiator” & “Hercules & The Tyrants Of Babylon”. 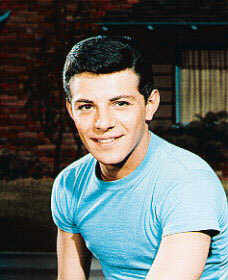 This “Mickey Mouse Club” Mousketeer went on to become the teen queen of the 1960’s & star of many Beach Party Movies such as “Bikini Beach” & “Beach Blanket Bingo” opposite frequent co-star Frankie Avalon. Other memorable films include, “The Shaggy Dog” & “Thunder Alley”. Pop star & teen heartthrob of the 1950’s & 1960’s who made his big screen debut in Don Siegel’s “Hound-Dog Man”. 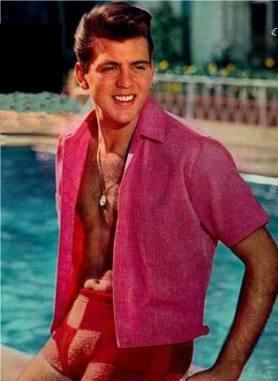 Fabian went on to co-star with some of Hollywood’s biggest names including Bing Crosby (High Time), John Wayne (North To Alaska) and James Stewart (Dear Brigitte). After a couple of film roles (Rock, Pretty Baby” 1956, “Summer love” 1958) some minor TV work (Walt Disney Presents: Annette“ 1958) and two top 40 hits (1962), Shelley won a role in the hit teen film “Ride The Wild Surf” (64). Other big roles followed , including 3 films opposite ElvisPresley.